Our Mega Disney Asia Trip 2017 Recap! Now that we are back to something that resembles normalcy around our house after our big trip, we thought we might share some of our thoughts, tips, and superlatives from our Mega Disney Asia Trip 2017! To recap our trip, we went to all the Asian Disney parks over a two week vacation. We started in Hong Kong, then Shanghai, did some sightseeing around Kyoto/Tokyo for 4 days, went to Tokyo Disney Resort, and then had a couple days layover in Hawaii to stay at Aulani on the way back home. Our trip was great, with only a few minor hiccups along the way. If you’re planning your own trip, maybe you can get some recommendations or tips from our learnings. So let’s start with some questions! Favorite ride at Hong Kong Disneyland? Brian: Mystic Manor is fantastic but my favorite was Big Grizzly Mountain. Imagine a combo of the theme of Big Thunder Mountain and the smooth, dynamic, and inventive ride system of Expedition Everest. 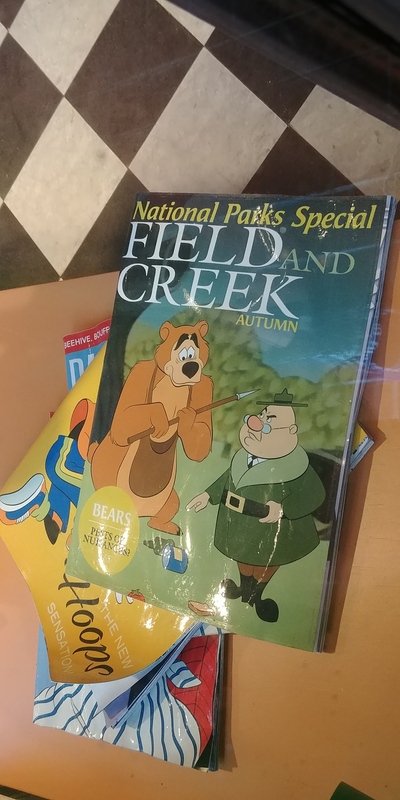 Add in an entertaining story centered on humorous bears and that’s Big Grizzly Mountain! 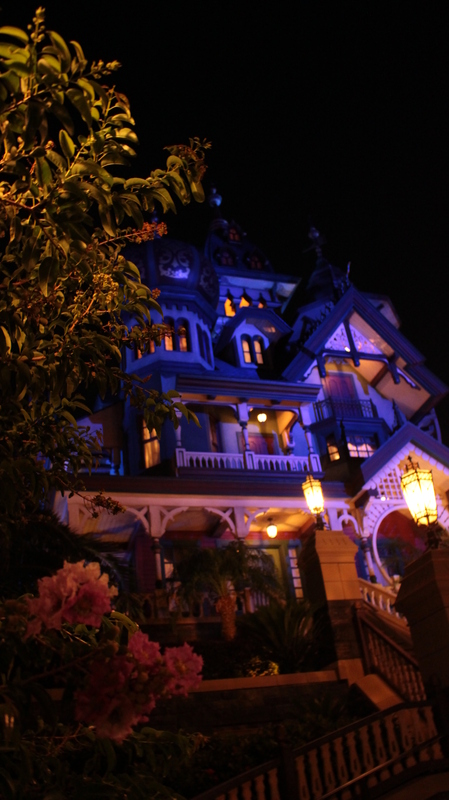 Laura: Hands down, Mystic Manor. The attraction is amazing. I will admit, I had heard so much about it that after my first ride through I felt like I was a little underwhelmed. I thought Albert was cute from the beginning, but I’m a sucker for adorable animals. After my second trip through, once I started noticing more details, I felt like the conductor of the hype train. The music is great, the story is one of those great original stories that Disney does so well, and Albert is so cute he might have taken Brian’s place as #1 in my heart. 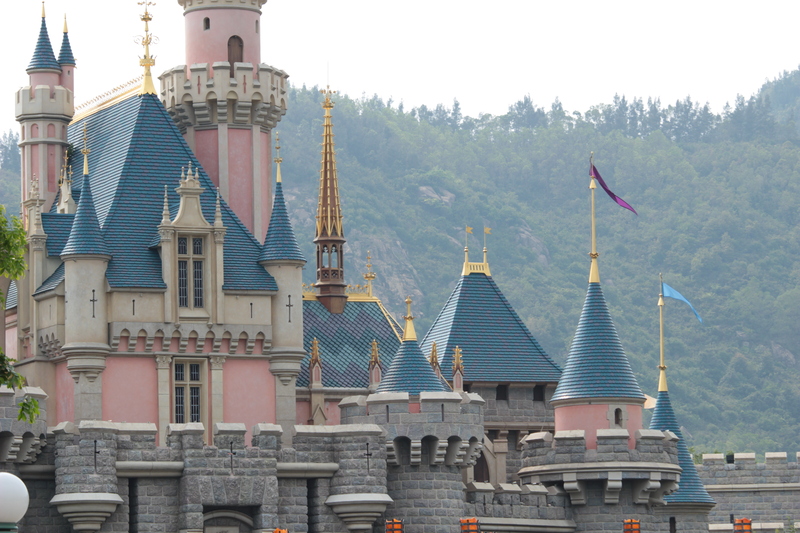 Favorite thing about Hong Kong Disneyland? Laura: The park itself is pretty similar to Disneyland in Anaheim, and as far as things to do it’s probably the most slim Disney park, but it’s unique enough to make me already want to go back. I love the natural scenery surrounding the park. The park isn’t planted in the middle of a city, it’s got mountains all around it, that when paired with the castle, make it look magnificent. Brian: I’m with Laura. I couldn’t get over the mountains around the park. Natural beauty was fantastic. 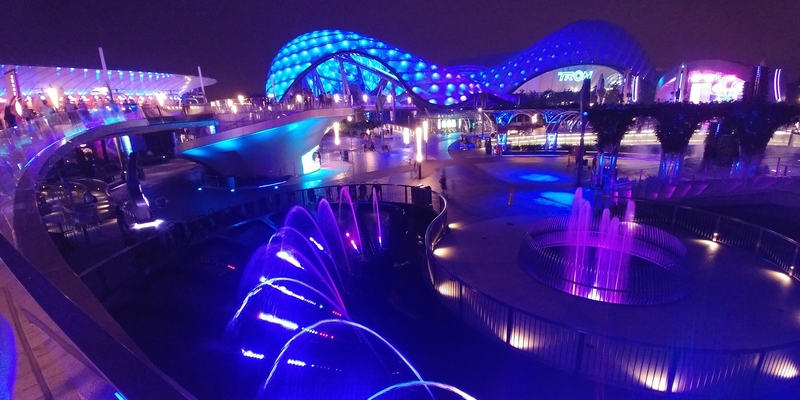 Favorite ride at Shanghai Disneyland? Brian: Pirates of the Caribbean – such an epic ride! The screens were gigantic and the visuals were striking. 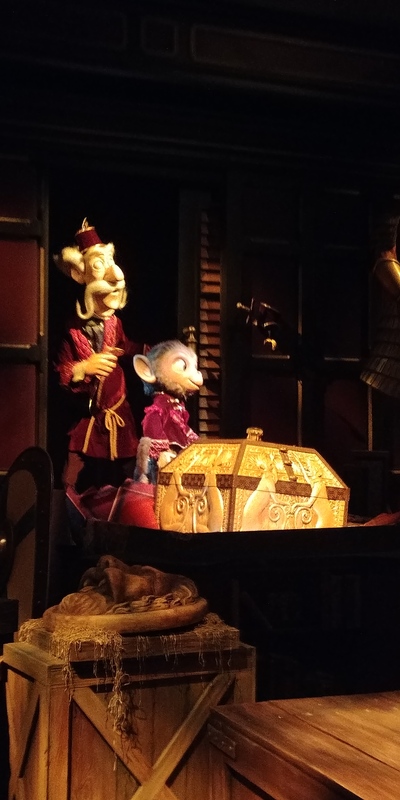 The animatronics were dynamic and realistic. Great lighting and visual effects as well. Only downside is it is completely based on the film franchise so it lacks the charm of the original ride. Laura: TRON Light Cycle Power Run. I was actually really nervous to get on this ride, something about being conditioned to fear being propelled head first at fast speeds, but I loved this ride so much. The launch was intense and that first hill is a bit daunting from the ground, but I would ride it over and over if I could. I am so excited for this to come to the US. Favorite thing about Shanghai Disneyland? Brian: All the details. An Imagineers’ playground. I really loved the Saludos Amigos dining area at the Mickey and Pals Market Cafe. Shipping crates and cool posters all over and Donald Duck had set up a makeshift screen and projector and was playing clips from the film. The projector would break every once in awhile and he would have a classic meltdown. So fun and such great details. Favorite ride at Tokyo Disney Resort? Brian: I really liked Journey to the Center of the Earth. Part dark ride, part high speed coaster it is a winning combination. I am also a sucker for classic sci fi like Jules Verne so to see his story come to life in this way was great. We were strategic so we never had to wait in line long, but the queue seemed just as detailed and visually interesting as the ride itself. Laura: I really enjoyed Pooh’s Hunny Hunt. I think the Pooh rides in the US are cute, but they’re some of rides that as two childless adults we usually skip unless they’re a walk-on. Pooh’s Hunny Hunt was so much fun. You got to bounce through the woods with Tigger, swirl around in a dream with Heffalumps and Woozles, and the honey room at the end smelled like honey. This ride was so much more technically advanced than your typical dark ride and that made it special. Unless you caught it first thing in the morning I don’t think it ever had less than a 50 minute wait! Favorite thing about Tokyo Disney Resort? Brian: Basically all of DisneySEA. Quite a large park, every area was perfectly themed as a living, breathing place. Some of the cleanest theming I have ever witnessed in a Disney park. Like all other parks it really came alive at night, especially Mt. Prometheus. The amazing lighting and the sporadic eruptions were incredible and believable. 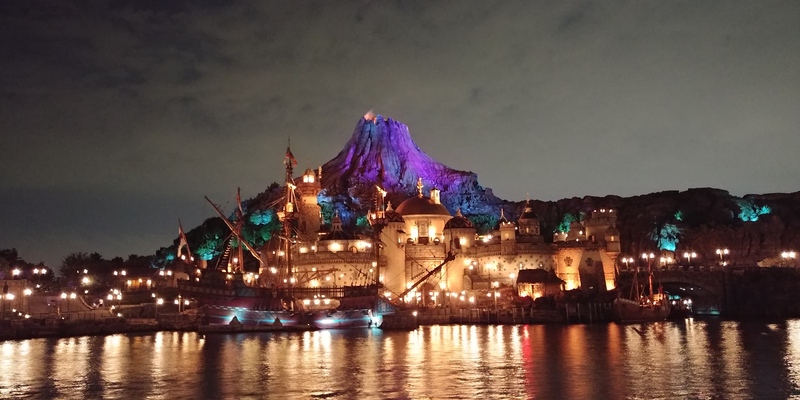 Laura: I really liked the ambiance of DisneySEA. There is so much detail there that gets even better as the sun goes down. I think we had been walking around the park for about 6 hours when we stumbled onto an area that we had somehow completely missed the first 3 times we walked by there. This park is definitely not meant to be rushed through going from ride to ride. Brian: As always Joe Rohde and his team kill it. A beautiful resort that is lush with detail and cultural references. I loved how they really tried to share Hawaiian culture with the guests. The Ka Wa’a Lu’au was colorful, energetic, and had great food. The Mo’olelo Fire Pit Storytelling was so entertaining- humorous and beautiful- while getting the audience involved. Most importantly each experience sought to teach resort guests about Hawaiian culture. Hearing folk tales, learning the significance of dances, types of dress, and food. Truly a great learning experience. 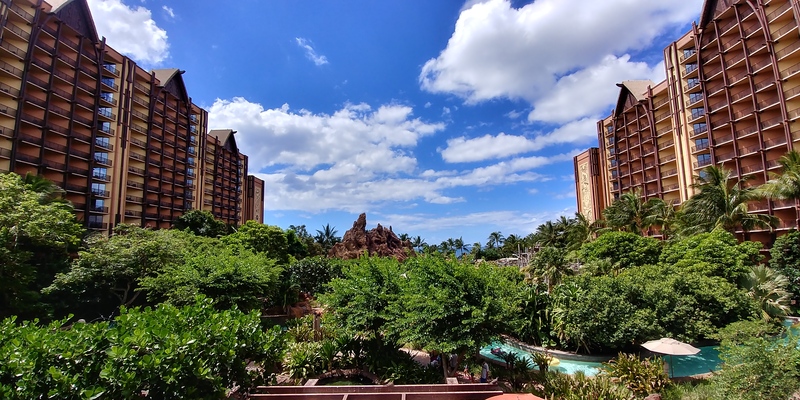 Laura: My favorite thing about Aulani is the level of detail that was put into it’s creation. On our last night there, we were walking back to the resort from the lagoon when we noticed a lighted square on the ground with the Aulani symbol with what we thought looked like a bird. We went to the front desk to ask a CM about it, and she explained that the bird was the ‘Iwa bird, who flies out to sea during the day but always returns home at night, so the path was lit with the ‘Iwa bird to help guide you back. I really loved that, because as we often see at Disney, no detail is overlooked or by coincidence. Best (Disney) food you had? 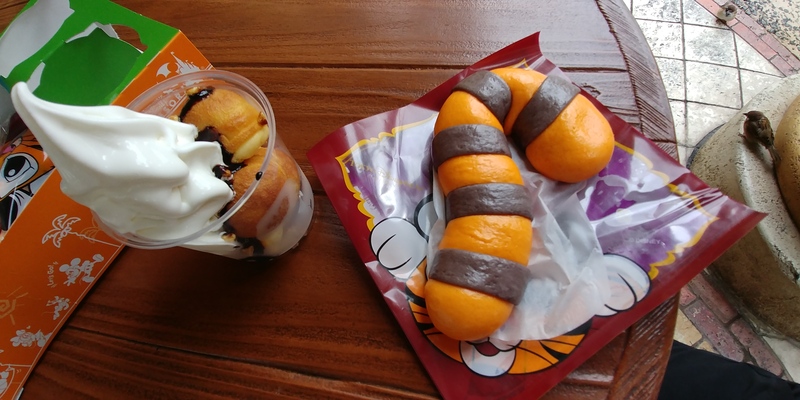 Laura: Best thing I ate at Disney would have to be the Chandu Tail from Sultan’s Oasis at Tokyo DisneySEA. It was a bun shaped like a tiger tail filled with chicken and corn. Almost like a pot pie in a bun. We liked them so much we had them twice for breakfast. I also really liked the Mike Wazowski melon bread from Tokyo Disneyland. Brian: I second Laura’s vote on the Chandu tail. It was delicious and cute! Also at Sultan’s Oasis were the Maple Cream Balls with Milk soft serve. Basically donut hole type pastries filled with a bit of maple filling and topped with delicious milk soft serve. Basically pancakes and milk so it’s perfect for breakfast, right?! Best (Non-Disney) food you had? Laura: I’m torn between Musoshin Ramen in Kyoto near the Gion district, or the crepes we had on Nakamise street in Tokyo. 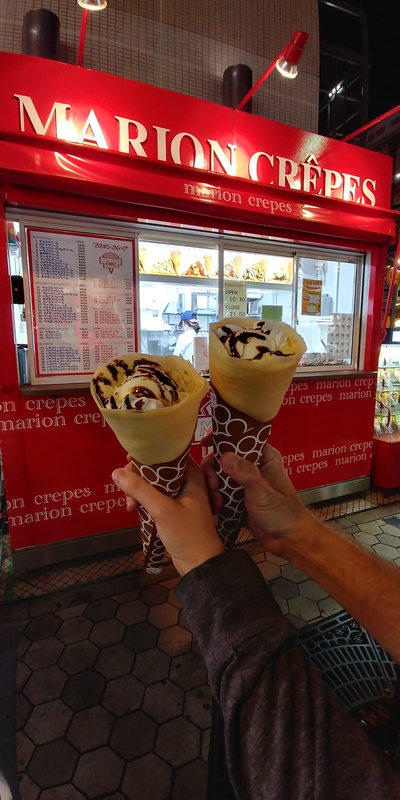 Because I dreamed about those crepes for weeks before the trip, I’m going to go with the crepe from Marion Crepes. We were just wandering around when I saw the truck parked along the road. I stopped dead in my tracks and made a beeline to it because that’s how badly I wanted one. It had custard, whipped cream, chocolate sauce, and ice cream in it and it was delicious. If you ever go to Tokyo just trust me and get one. Brian: Completely agree with Laura on all fronts. Musoshin Ramen was fantastic and so were the crepes. We had so much amazing food not in the parks, though, there is stiff competition. Also we were both really surprised by the quality of airline food every flight we took while in Asia. Even our shorter flights had snacks of pastries, yogurt, and fresh fruit, or even dim sum! Kind of maddening when you compare it to the peanuts and crackers you get on domestic flights in the US. Another surprising thing were the convenience stores. We have 7-11s in the US but not like this. They are king in Japan. Premium food both fresh and packaged plus essentials for travel like chargers and toiletries and the most convenient ATMs. Best (Disney) experience you had? Brian: I would say the best experiences were the many CMs we encountered. They are great in the American parks as well but many we dealt with went the extra step. Recognizing we spoke English and providing story cards without asking or even a translator screen for the Tiki Room. However, the best was Pixie who helped us get my phone back in Hong Kong. She was so incredibly helpful and we over the top with assisting us, yet she acted like it was her duty, when in reality she could have bowed out pretty easily. Really a miracle that we got my phone back and that wouldn’t have been possible without Pixie. Laura: Every time you go to Disney you expect to have a lot of fun, and spending 11 days at Disney parks and resorts did not disappoint in any way. Each park was great, and the resorts were just as good. One of the standouts was the entertainment at Aulani. The luau and fire side stories were both really great, the performers were so emotionally invested that you could really tell they were passionate about sharing their culture. But my true #1 best experience has to be the CM who helped us find Brian’s phone in Hong Kong. What she did was above and beyond anything any CM has ever done for us in any park we’ve ever been to, and it’s something I’ll never forget. Best (Non-Disney) experience you had? 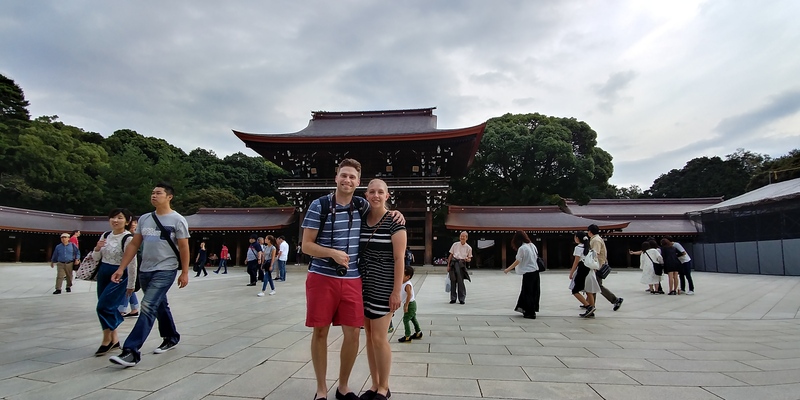 Laura: The best non-Disney experience I had was probably on our last day in the city of Tokyo, we went to the Meiji shrine. As we were walking back to the shrine, a group of 6 teenagers approached us. They were a group of students who were practicing their English, so they were visiting tourist spots to find English speakers to walk with and talk about the grounds and the history of the shrine. I admittedly was skeptical at first, because we had some dicey interactions earlier in our trip, but it turned out to be one of my favorite parts of sightseeing. They were so incredibly friendly, and told us all about the shrine and what different things meant. They taught us how to wash our hands and mouth at the temple and why they do it, and they showed us how to make a prayer by tossing a coin, bowing, and clapping. They were so enthusiastic to share their culture with us, and I learned so many things that I otherwise wouldn’t have if they hadn’t walked us through it. Brian: I second Laura. The experience we had with the students at the Meiji shrine in Tokyo was fantastic. I thought about them off and on for the rest of the trip. It was a great interaction and I felt like we learned so much. It was a great exchange in that we learned firsthand how to properly experience the shrine and they really seemed to take pride in hearing about what we liked about Tokyo (which was a lot of things). What was your lifesaver on the long flights? Brian: In flight movies. I only slept like 2-3 hours and not all at once so I had a lot of time. I watched several movies and then we watched shows we had downloaded on Netflix. Also don’t underestimate putting your seat back fully and covering up with a blanket. Making your surroundings as much like sleeping at home as you can is important. Laura: Downloading Netflix shows before the plane ride! For our 13 hour flight we pre-purchased WiFi. Shortly after we took off we tried to connect but had no luck. Turns out we should have gotten a link to connect through an email prior to the flight that we never received. We weren’t willing to pay again so we went without. Luckily we downloaded shows to watch while on the plane, which was the best thing we did! Best ride of all the Disney parks (US and Asia)? Brian: Super tough question. I think I will always consider Carousel of Progress to be my favorite attraction. Obviously, I am a huge history buff so I love the glimpses into the past as well as the added character of the ride being something that Walt worked on as well as being from the 1964 NY World’s Fair. However, I really enjoyed both Mystic Manor and Big Grizzly Mountain. Both from Hong Kong they are just the level of quality and originality of Imagineering at its best. Fantastic rides, both of them. Laura: This is really hard. My two favorite rides of this trip were Mystic Manor and TRON, and comparing the two is like comparing apples to watermelons. I do have to say that since we left Hong Kong, I have watched YouTube videos on Mystic Manor more often than I care to admit. So I guess I’ll go ahead and put that as my favorite ride ever, in any park we’ve ever visited. Best Disney park (so far)? Laura: Honestly, I can’t pick one park. Each park that we’ve been to now is unique in it’s own way, it would be like trying to pick a favorite child (or dog, in our case). But that’s what makes touring around and seeing the different parks so great. If they were all the same, there would be no fun in crossing them off your list. Each park has something that makes it special. If I could take all my favorite things from each of the parks, THAT would be my favorite park. Brian: Definitely a very hard question. There are so many factors and so many different things that make each park unique. One of the best things for me was at Shanghai Disneyland and all of the details and easter eggs. Truly on another level to any other park we have been to. On the flip side it doesn’t have that many rides so it is lacking there. The Tokyo parks have interesting food and DisneySEA is so interesting and beautiful that it stands out in that way. In the end I can’t just choose one park but there were many stand out things in each place. Best city we stopped in? Laura: I think for me, my favorite city was probably Hong Kong, in that it was kind of my sleeper favorite. I knew more what to expect from Tokyo, but I hardly knew anything about Hong Kong in the way of the city itself. What I experienced I was blown away by. The downtown area was so cool, with the narrow streets packed with all kinds of architecture, with ancient temples mixed in with modern restaurants and shops. The cable car trip to Tian Tan Buddha was amazing. The city itself was small enough to not feel overwhelming, but there was never a lack of things to do. Don’t get me wrong, Kyoto and Tokyo were both amazing, and they exceeded my expectations as well. If you’re looking to make a trip to Asia, you truly can’t go wrong visiting any of them! Brian: Kyoto- it has a fantastic mix of temples and modern city. 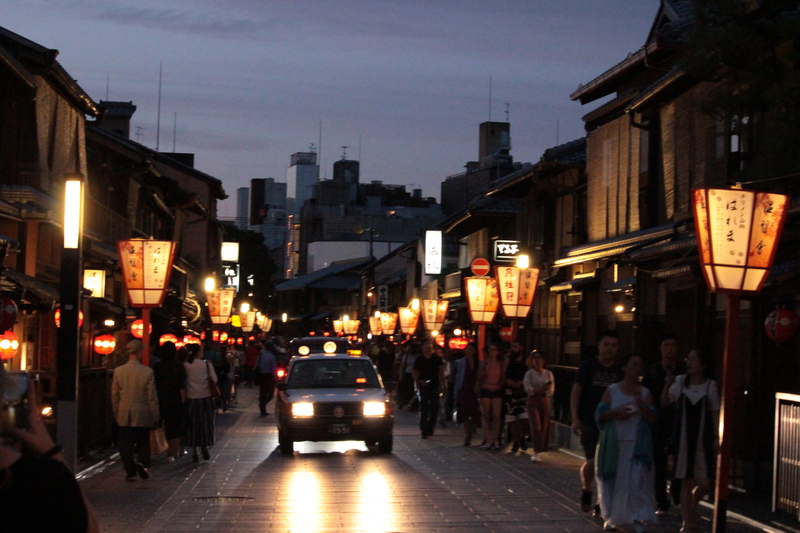 It has both a lively downtown with great food and shopping but has less of the hustle and bustle as Tokyo. However, Tokyo’s public transit was so much easier to navigate than Kyoto’s. I would also echo Laura’s feelings on Hong Kong. Completely out of left field it was a great time, but it was the most humid place we have ever been….ever. Florida doesn’t compare even. Overall, I loved the architecture of the buildings and temples we went to. I have admired Asian cultures for most of my life and getting to see these places first hand was truly a dream come true. Best hotel (Disney or non-Disney)? 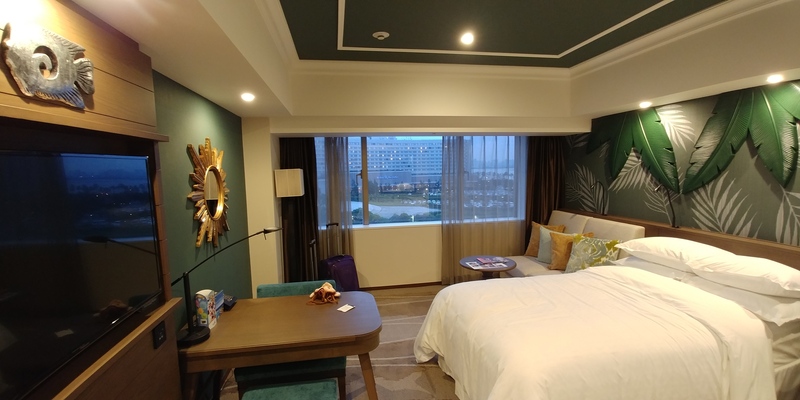 Brian: The Sheraton Grande Tokyo Bay was the highest quality room we stayed in. Newly redone it was clean, huge, and fancy. A stark change in size from the places we had stayed up to that point. I also really liked the Hollywood Hotel in Hong Kong. So many great details and amenities and just a beautiful place. The hotel we stayed in Kyoto was good as well. Smaller but set up nicely with great amenities like a super deep bathtub, fancy toilet, and fancy heated mirror to prevent it from fogging when you showered. Laura: We stayed at 6 different hotels on this trip, 3 were Disney resorts. As far as theming, Aulani wins. The resort itself was really nice, but that’s kind of obvious beings it’s not connected to a park or other entertainment, the resort IS the true destination and if it had been anything other #1 on theming I would be disappointed. As far as room quality, unfortunately Aulani doesn’t match for me, ranking 5th out of the 6 hotels, with the 6th place being the glorified closet we slept in while in Tokyo. Our room at Aulani was not in good shape as far as scuffs in the paint and on the furniture, there were balls of dust all over the walls, and the faucet was drippy, unknown dark stuff on the walls in the bathroom. It was unfortunately the highest tier Disney room we’ve stayed in, and probably the worst quality of any Disney room we’ve stayed in. As far as the nicest room goes, it was Sheraton Grande Tokyo Bay. These rooms had just been redone, and they were wonderful, spacious, and clean. I’m pretty sure the bathroom in this room was bigger than the entire room we stayed at while sightseeing in Tokyo. How were we able to hit all these stops in one trip? Laura: I actually did most of the planning for this trip. I’m kind of an excel geek, so we had spreadsheets on spreadsheets of different things. Accommodations, routes for transportation, itineraries, costs, you name it. I knew exactly how much cash we needed to withdrawal, how we were getting from point A to point B, and all the important websites we might need along the way, from the visa free transit information to booking information for the shuttle to take us to the airport from our hotel at Tokyo Disney. Basically, planning, planning, planning. This wasn’t a trip we could just wing it on, but luckily I’m a planner by nature. I pored over resources like Disney Tourist Blog and Tokyo Disney Explorer, looked at travel books, used Google for other questions I had, and we watched a lot of YouTube videos to find things to do and places to eat. We made our first booking last December starting with renting DVC points for Aulani, and kept an eye out for deals on hotels and airfare from there, booking little by little until we had everything done at the best rates we could get, and booking hotels with free cancellation so if the prices dropped along the way we could cancel and rebook at the lowest rates. I used Hopper (app) to track our flights, and it alerted us when prices were low and we should book. Most of the things we did in each city were low to no cost ($10 or less), and we ate at relatively inexpensive restaurants, with the exception of a couple meals at Disney. We also looked at tourist deals, like daily metro passes, and advanced bookings to see what could save us money. If you’re planning a trip like this, definitely start early, and plan often. If you don’t hunt for the deals, you might be lucky enough to catch one anyway, but over the course of 7 months prices can fluctuate quite a bit so it’s worth it to keep checking on your bookings! Brian: What she said. I was mostly useless. What caused the most stress? Brian: A tie between losing my cell phone in Hong Kong the first day and taking a shady taxi in Shanghai. Both turned out fine but the taxi was especially overwhelming. A lesson for you all for going to Shanghai, if someone asks if you need a taxi tell them no, even if they are standing in front of the lines of taxis! Approach a taxi yourself. We were aware of this problem, but with him standing outside the line of taxis we assumed he was a driver of one of those taxis – we were wrong. Also know how much on average it should cost to go to your destinations. Some might try to take advantage of you on the price. I was lucky enough to have Laura with me who knew a ton. Laura: I think getting through airports is pretty stressful. You’re walking through crowds, balancing one or maybe two carry ons, as well as some of the most important documents you have, and trying to be organized all at once. Some flights we showed our boarding passes to get past the gate and that’s it, others we had to show at the gate as well as when we were actually stepping onto the plane, so it was helpful for us to have a convenient place to put our travel docs so we weren’t searching for them or fumbling with luggage to where we dropped them. We each got a cover for our passports before the trip with slots in it to store other documents, or credit cards. This was also helpful because in some countries we had to keep papers to show as we left, so it was nice to have a secure place to keep them so we knew they weren’t floating around our bags. Brian: Not much of a problem. A lot of people knew some English pretty much everywhere we went. Even if they didn’t know too much, pointing at pictures got the job done. I found some conversational phrases online from Japanese for Dummies and kept it up on my phone and studied it when we were sitting down on trains or had other down time. Otherwise, I just listened to what people said and tried my hand at using some phrases. Everyone was really understanding and I think appreciated when we tried to speak Japanese. Even just saying “hello” or “thank you” in the local language goes a long way. Laura: For me, the language barrier was no problem at all. In each country, English was so prevalent on signage that we had no problems getting around or ordering meals, and that goes for in Disney parks and outside of the parks. I can’t think of a single time where we interacted with someone who spoke no English at all, at least not to the point where we couldn’t figure each other out. It really inspired both of us to learn more conversational phrases of different languages, I think. Brian: Tokyo had no trash cans in public…anywhere. We were in the city for 3 days and saw one public trash can. However, it is the cleanest city ever. There were people mopping the floor in the subways! Laura: I think the biggest surprise for me was how easy it was to get around these cities we visited. I researched routes, costs, most efficient transportation all before going. The metro in Tokyo was one of the things I was most concerned about heading into our trip, and getting around Tokyo was easier than getting around Kyoto’s metro system, I think. Even though there were so many different lines, having looked up the nearest station to our destination and researching times and costs helped me feel prepared. Hong Kong was incredibly easy to get around, too. Taxis were efficient, convenient, and inexpensive to use in Hong Kong as well. We had some moments where we weren’t sure where to go, but we got into a groove and generally had no issues. Brian: Always check your seat before leaving public transit or taxis. Helps you not lose your cell phone. Also be flexible and stay calm. We had to think on the fly sometimes, especially when using the subways, so be as knowledgeable as you can and figure out the rest when you get there. Each new place will take some adjusting to get into the groove of where you are going, but you will get it. Laura: The biggest lesson I learned was probably to try to be more familiar with layouts of the airports before arriving. Luckily with phones you can look up whatever you need in general, but I think in each airport we had a moment of uncertainty of where to go. Like I said, I’m a planner by nature, so feeling lost drove me crazy. Knowing where to go to find an ATM, or the counters that you need to pick up your metro passes, or even at LAX knowing what terminals you can easily walk to vs which you should take a shuttle to when you have a tight layover would have been tremendously helpful! That sums up our trip recap! We have been back for 5 days now and are finally starting to recover from the exhaustion. When we came back Sunday, we had no Disney trips booked going forward, though we had a couple in mind that we were thinking about. We actually got a notification from Hopper on Wednesday on an airfare deal to Paris that we couldn’t pass up, so we are very excited to be able to cross off the last Disney park this spring! The life of a Disney fan, we wouldn’t know what to do if we weren’t perpetually planning a Disney trip! Do you have anything else about our trip you want to know? Are you planning your own trip? Feel free to leave a comment, email us, or message us on Twitter! Wow, that taxi caper sounded sinister, lol! Glad you guys are okay though! Are the crowds at these Asian Disney Parks generally less than at WDW in Orlando, would you say? I think it probably depends on the season, much like WDW. We used the method of getting there at opening, doing as much as possible hitting the big ticket rides first, then spending the afternoon soaking in the atmosphere and snacking or using fastpasses, then doing more rides as the park closed. For the most part we had relatively short waits. I don’t think we waited longer than 5 or 10 minutes for any ride in Hong Kong or Shanghai, so weekdays in September I would say they probably have less crowds. The worst park for crowds was Tokyo by far. We got there an hour early and were still way in the back of the pack. As soon as the gates opened people sprinted. 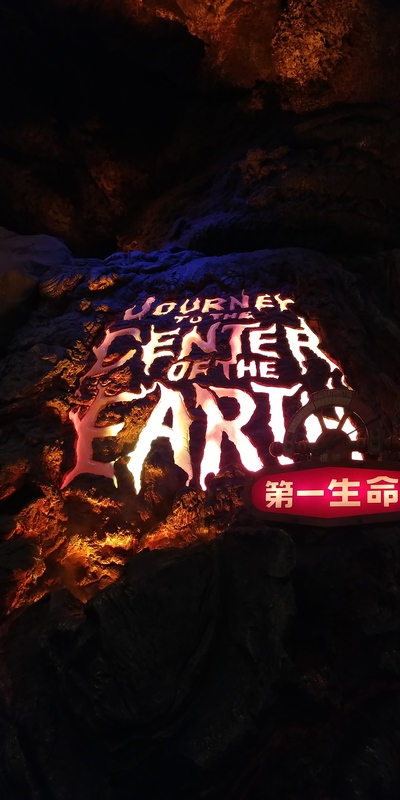 We went to Journey to the Center of the Earth first with the intent to ride it twice in a row. The first trip through was a walk on, by the time we got back around to the queue it was already posted 25 minutes. I’m not so certain TDR ever has a “slow” season, but I imagine crowds would get better the more towards the middle of the week you go. We even strategically planned our parks days on weekdays, hitting HK on Monday, Shanghai Tue-Wed, and TDR the following Mon-Wed. No park was ever shoulder to shoulder with people though. Plus there are significantly less strollers, which does amazing things for walkway space! Also, full-disclosure, we typically bypassed any ride with a +20min wait time by choice unless it was a major priority for us. Not that waits never got up past 5 or 10 minutes in HKDL or SDL, they certainly did, we just chose to wait for standby until wait times were better. We also used Disney Tourist Blog a lot to figure out which rides were clones of US rides, and chose to skip those all together unless they were walk ons.